This morning the first eye of the light blue boy had opened. An hour later the second. The period when the eyes start to open is magic. These little creatures get a more distinct personality then. The first days they see things blur. 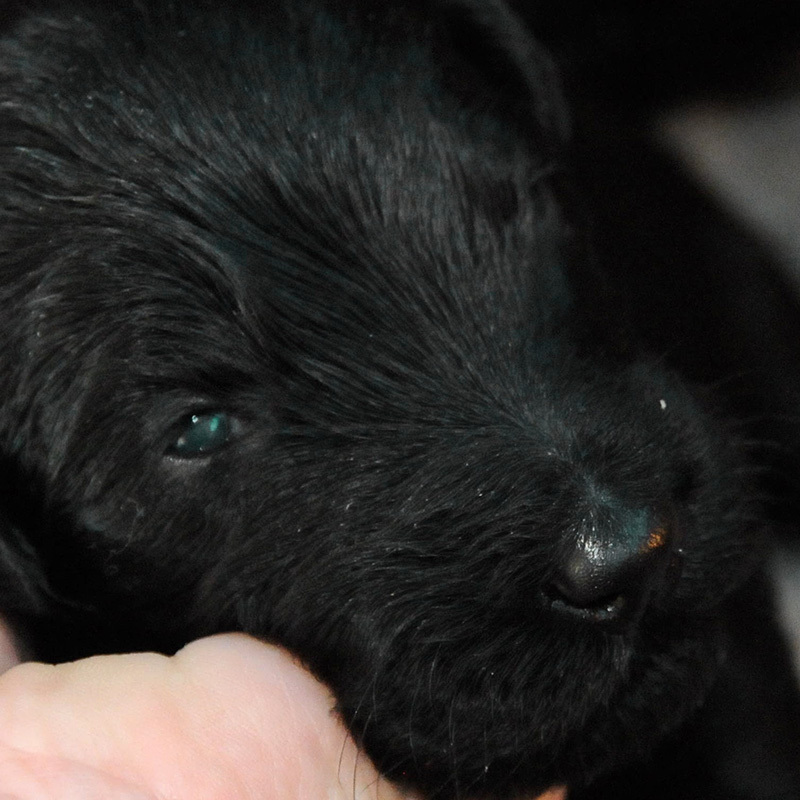 What is also interesting to know is that all puppies have blue eyes in the beginning.